Following the end of the Avengers vs. X-Men crossover in December 2012, there was a near company-wide restructuring of writing duties, with high profile writers swapping titles simultaneously. For instance, Brian Michael Bendis, who had been the primary writer over all Avengers titles for seven years, passed control of those books to another writer, Jonathan Hickman. 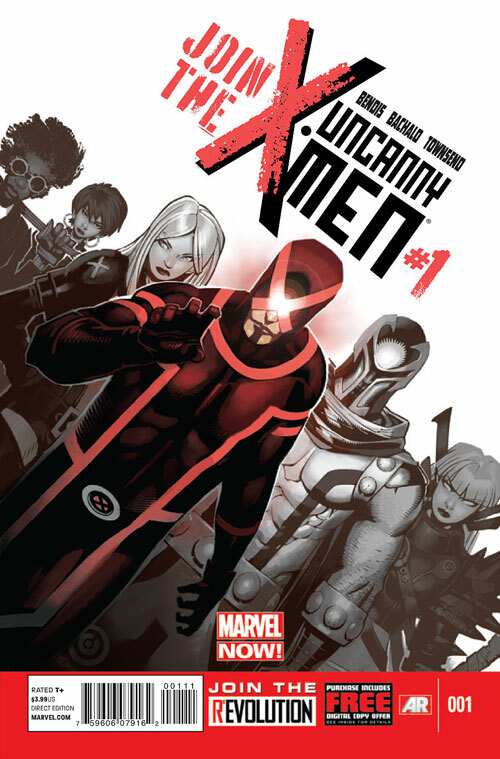 Bendis, meanwhile, was given control over Uncanny X-Men and a new series of his creation. Thus, on January 2013, All-New X-Men #1 hit the stands. Having already chosen Wolverine’s side during the events of X-Men: Schism, the Beast was incensed at Cyclops’ actions during the Avengers/X-Men conflict. With Cyclops still a fugitive from justice, the Beast embarked on a dangerous gambit and used Doctor Doom’s time machine to travel into the past to a point shortly after the original X-Men’s formation and then bring the original five X-Men to the present. While the teen X-Men were both amazed and shocked at how their lives had turned out, the Beast’s contemporaries were horrified at the risk their old friend had taken with time itself. As the fallout of this was depicted in All-New X-Men, what was happening with Cyclops’ group was being explored in Bendis’ revived Uncanny X-Men (3rd series). 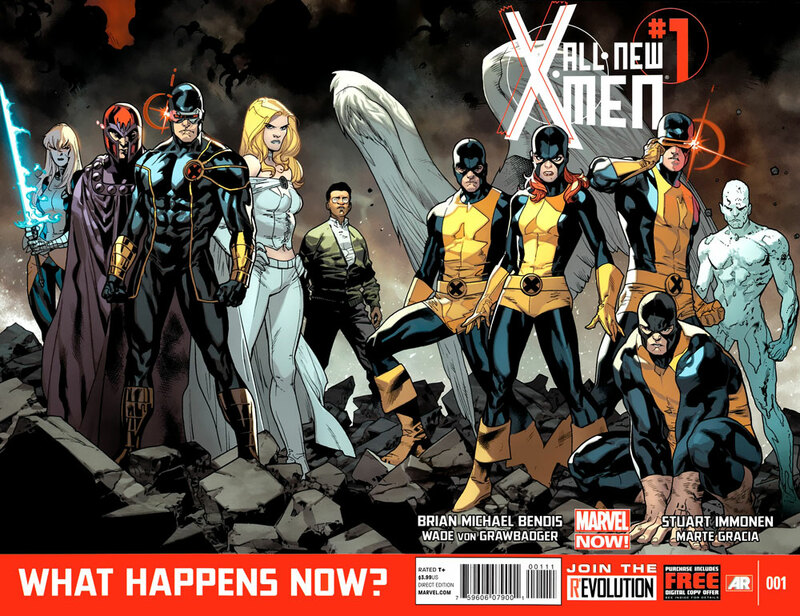 The first issues was published in April 2013, three months after All-New X-Men #1. Ostensibly a wanted criminal, Cyclops led a true outlaw band of heroes and evaded authorities as he recruited students for his New Xavier School for the Gifted. Cyclops' teammates doubled as faculty for the school and included Emma Frost, Magik, the Stepford Cuckoos and even Magneto. During the course of the series' run, they enrolled several new mutants, such as Goldballs, Hijack, Morph II, Triage and Eva Bell. 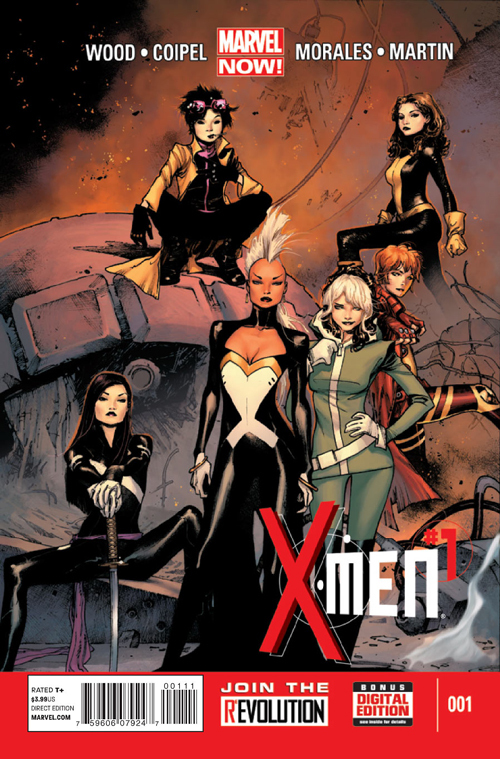 For the most part, both Uncanny X-Men and All-New X-Men ran parallel to each other, with occasional meeting of characters and on several occasions with characters swapping sides between the groups of X-Men. The largest of these was during the Battle of the Atom crossover. Running through September and October, the crossover spanned ten issues – two issues of a Battle of the Atom miniseries proper, as well as two issues each of All-New, Uncanny, Wolverine and the X-Men and finally X-Men (4th series). At the end of the crossover, the teen X-Men left Wolverine & the Beast’s group for that of Cyclops’. To the surprise of all, Kitty Pryde joined them, intending to stay with the kids she had been assigned to instruct since their arrival. In July 2013, just prior to the Battle of the Atom crossover, X-Men (4th series) began. Based primarily out of Wolverine’s Jean Grey School, the new X-Men series was notable in that none of its member X-Men were actually men – they were all women. Though not intended to be as such within the context of the title itself, the squad was simply a team put together by Storm that happened to be all female. In all other aspects, the team functioned as any other squad of X-Men and took on threats of all types. The series saw the introduction of Jubilee's adopted son, Shogo, the twin sister of John Sublime - Arkea and a new Sisterhood. The series ended in June 2015 as part of the company-wide revamp of the Secret Wars crossover event. Though all of the recently launched X-titles were closely intertwined in the shared universe, April 2013 saw the release of Savage Wolverine #1, which was less so. Though it definitely took place within the Marvel Universe itself, this new series was intended to be more of an anthology series with standalone story arcs that could take place in any point of Wolverine’s timeline, or perhaps in ways that didn’t really fit. Arguably, the entire title was created for Frank Cho, who had a Savage Land story he wanted to tell and didn’t how where else to have it published. Subsequent story arcs were done by other creative teams. The series lasted for 23 issues, ending in November 2014. While other series were canceled and relaunched, Peter David’s X-Factor continued unabated… until November 2013 when it finally came to a close. With the exception of the renumbering scheme, moving from (3rd series) #50 to (1st series) #200, PAD’s X-Factor series had continued uninterrupted for 114 issues (including a .1 issue), or 119 if one counted the 5-issue Madrox miniseries that preceded it. However, even X-Factor’s cancellation with #262 was not to be the end. Three months later, All-New X-Factor #1 debuted in March 2014. This “all-new” nearly lived up to its name, with only one of the characters from the previous series migrating to the new one. A fresh setting and purpose for the team was introduced as the X-Factor name had been “purchased” by billionaire Harrison Snow, who intended to create the world’s first corporate super-hero team. Despite the fresh life breathed into the series, a new #1 and the mystery surrounding Snow’s intention, the series ended in March 2015 after only 20 issues. X-Factor was not the only series to get an “All-New” treatment, though All-New Doop was always meant to be a miniseries, not ongoing. This miniseries ran from June 2014 through December 2014 and explored Doop’s nature and his relationship with Kitty Pryde. Though not an “All-New” series, Amazing X-Men (2nd series) debuted in January of 2014, replacing Astonishing X-Men (3rd series), which had finished a month before. This series was the second series of that name, the first being from during the 1995-96 Age of Apocalypse crossover. The series depicted another X-Men squad based out of the Jean Grey School. While the team from adjectiveless X-Men series was led by Storm, this one was led by Wolverine. The first storyline saw the resurrection of fan-favorite Nightcrawler, who had been killed by Bastion a few years before during the Second Coming crossover. To save him, a team of X-Men literally traveled into the afterlife and retrieved him, bringing him back to the land of the living. 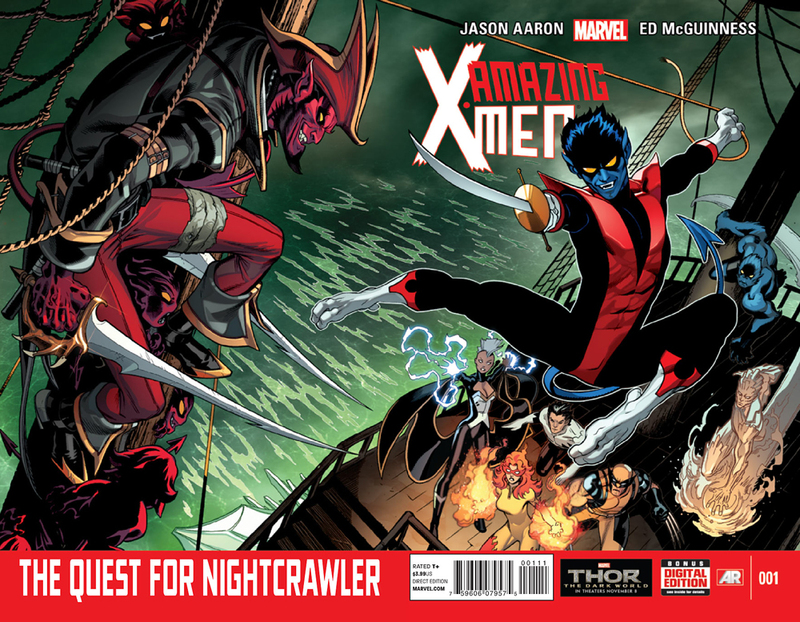 This in turn led to a 4th Nightcrawler series, which debuted in June 2014. Neither series lasted very long, 19 issues for Amazing X-Men (2nd series) and 12 for Nightcrawler (4th series). Nightcrawler was not the only X-character to get their own ongoing series. 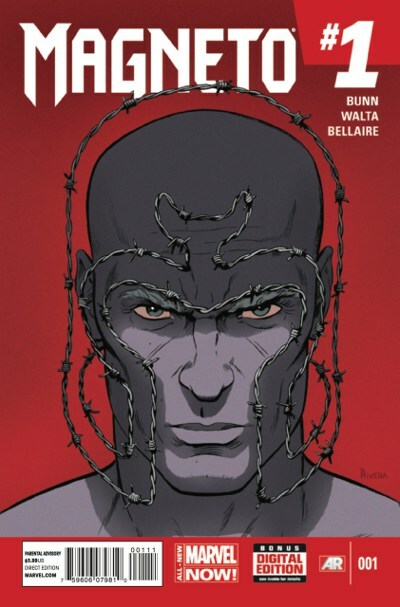 In March 2014, Magneto received his second series, the first having been the 4-issue miniseries in 1996 starring Magneto’s clone, Joseph. Taking a page from scenes from early part of the film X-Men: First Class, Magneto dedicated his time to tracking down Nazi war criminals and those that preyed on mutants, dispensing his own version of justice. The series ran for 21 issues, ending in October 2015 as part of the company-wide revamp of the Secret Wars crossover event. The other character was Storm, receiving her 3rd series, though her first ongoing. The two previous series had been a 4-issue miniseries in 1996 and a second 6-issue miniseries in 2006. Running for 11 issues, this series too was canceled in mid-2015 due to the approaching Secret Wars event. Early 2014 saw a new crossover, which was unusual in that it crossed a single X-title with a non-X-title. Since its first issue, All-New X-Men had continued to depict the continuity/historical culture shock of the teen X-Men with the knowledge of what had become of their lives. However, this shock went both ways, in this case resulting in the Trial of Jean Grey storyline. During this event, the teen Jean was captured and arrested by Shi’ar forces, who intended to put her on trial for the crimes of her future self, the Dark Phoenix. This storyline crossed over with Guardians of the Galaxy title, also written by All-New X-Men scribe Bendis. During the course of the crossover, teen Cyclops met Corsair, his father and current leader of the Starjammers. Since Cyclops had not learned that his father was still alive until much later in his personal history, this came as quite a shock. Likewise, Corsair saw in the teen Cyclops a second chance to get to know his son as a youth, as he previously didn’t get to meet him until he was already a man. At the end of the crossover, teen Cyclops decided to stay in deep space with his father. These adventures were depicted in Cyclops (2nd series), which ran for 12 issues from August 2014 until March 2015. Recent years at Marvel had begun to form a clear publishing pattern. The days of a series lasting for decades, or even half a decade, were over. As seen in the latter part of this article, series were canceled within just a year or more from when they had been launched. While some were canceled due to low sales, others were simply relaunched the following month. Cynically, one might surmise that this was an attempt to up sales with a new #1. However, some of these featured new creative teams, with the new #1 representing their distinctive take on the series. Other relaunches marked a fresh direction for the title. In a sense, the ongoing series was no more, replaced with long-form miniseries, telling a specific story with a specific end. As an example, when Paul Cornell took over the Wolverine title, the then-current series ended with #317 and was replaced a month later with Wolverine (5th series) #1 in May 2013. This series only lasted for 13 issues, ending in March 2014. However, this series was definitely a finite story, envisioned by Cornell to depict the loss of Wolverine’s healing factor. When Wolverine (6th series) #1 started the next month, Cornell continued to write the title, now dealing with the ramifications of the loss of Wolverine’s healing factor, again a finite story which ended with #12 in October 2014. Still, these two series were leading to something larger. 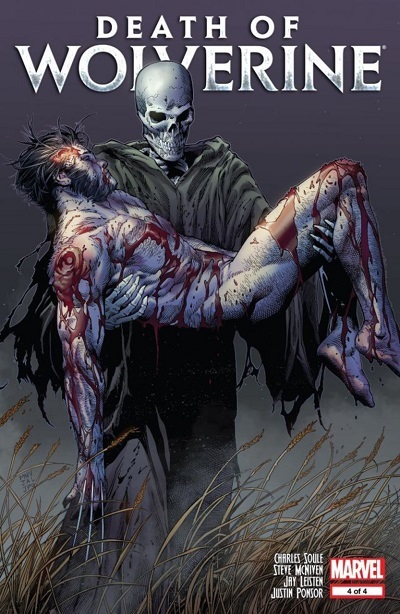 Two months after the cancelation of the previous series, a story few ever probably thought would be told was published – a four issue miniseries named “the Death of Wolverine.” Exactly as advertised, the series ended with the death of Wolverine. Not a hoax, not a dream. Of course, Wolverine’s death did not mean that series relating to his death were out of the question. No less than four miniseries arose from Wolverine’s grave – Death of Wolverine: Deadpool & Captain America, Death of Wolverine: Life After Logan, Death of Wolverine: Logan Legacy and Death of Wolverine: Weapon X Program. Finally, there was a limited run weekly series, Wolverines, which ran for 20 issues and featured some of Wolverine’s supporting cast, such as X-23. Finally, with Wolverine dead, the title of Wolverine and the X-Men could no longer be accurate. So this series was replaced in February 2015 with Spider-Man & the X-Men, in which the web-slinger joined the Jean Grey School faculty to teach a class. This series ran for only 6 issues, most likely canceled as a result of the upcoming Secret Wars event. Bearing only a peripheral, titular connection to the two miniseries of the 1980s, the Secret Wars miniseries of the summer of 2015 was at the center of a line-wide event across almost every single Marvel title. When Brian Michael Bendis left the Avengers franchise for that of the X-Men, Jonathan Hickman had taken over the two core Avengers books, relaunching them with new #1. The two series were Avengers (5th series) and New Avengers (3rd series). The Avengers proper series actually featured two New Mutants, Cannonball and Sunspot, who had decided to retire from the world of mutants, but came out of retirement to become Avengers. As such, the Avengers title became a peripheral X-book. Though these two characters continued to appear in the series, they also become main characters in the spinoff title Avengers World, launching in March 2014 and running for 21 issues. However, the true origin of the Secret Wars event lay in the New Avengers (3rd series) title, in which the Illuminati learned of trans-dimensional “incursions” between alternate Earths in which both worlds would perish (along with their constituent universes) unless one of the two Earths were destroyed. As they had done in the past, the Illuminati decided to take on a secret defense of Earth without humanity’s knowledge of input. New among their membership in this task was the Beast, who took the place of the recently deceased Professor X. In between his appearances in other X-titles in which he helped hunt Cyclops for his crimes of forcing his will on the world, the Beast helped the Illuminati to destroy Earths to save his own. By the time Secret Wars #1 was released in July 2015, most titles across Marvel’s lines were brought to a conclusion. Even as the first issue hit the stands, readers were unsure if the Marvel universe as they knew it would survive and, if it did, what this new world would look like. At the time of this article’s update, the answer to this is still not yet known.